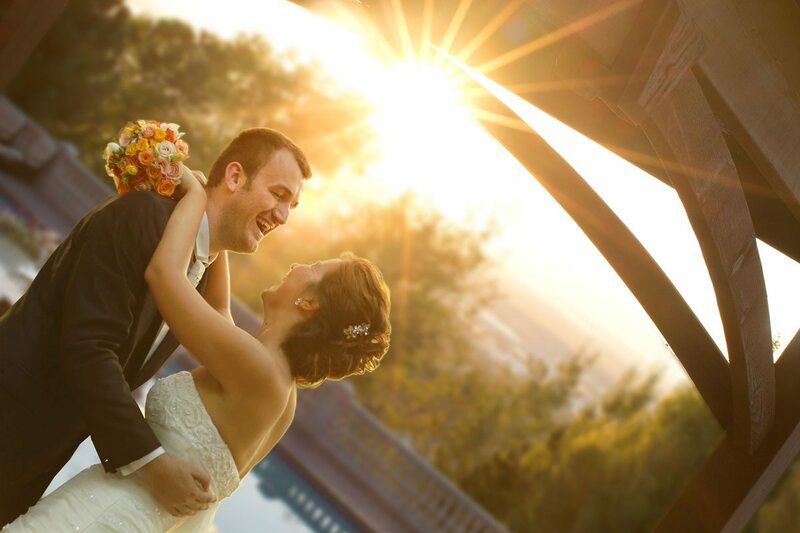 A wedding ceremony can be so effortlessly romantic in the natural elements of the outdoors. 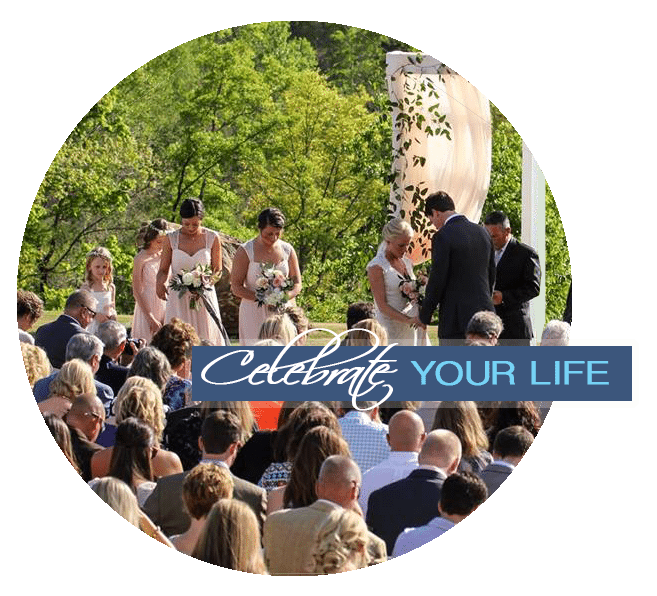 Whether it is a backyard, garden, beach or mountain view nature can provides a life-giving atmosphere. 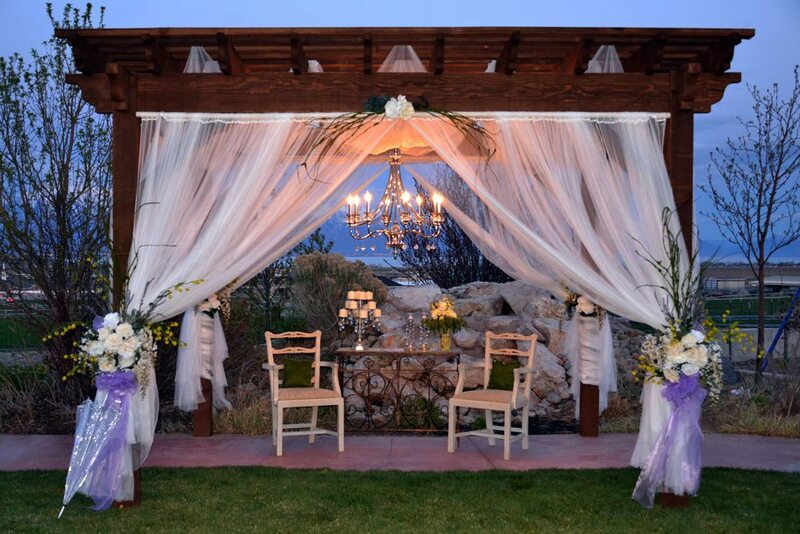 A DIY Pergola Kit is a fast way to create the ambience for this sacred occasion. 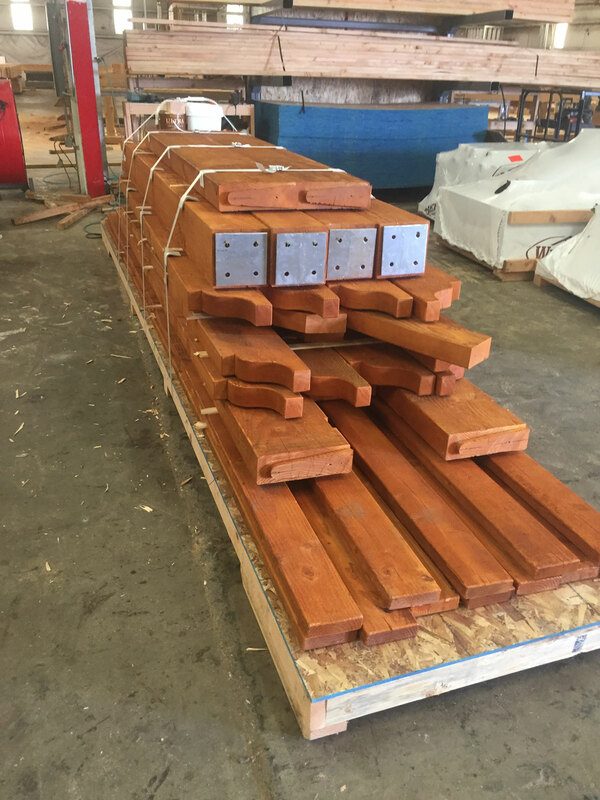 Each piece is pre-cut, pre-stained and pre-assembled and tested in the shop before it is ever shipped out to ensure an easy installation. 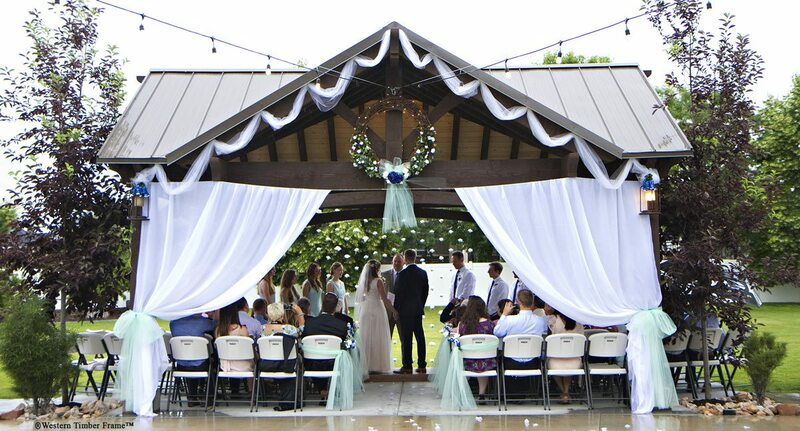 A Timber Frame Pergola is easy to decorate and best of all it is a permanent structure that can be enjoyed for other occasions such as Family Reunions, Private Parties, Church Picnics, Receptions, Anniversaries, Birthdays and Special Events. 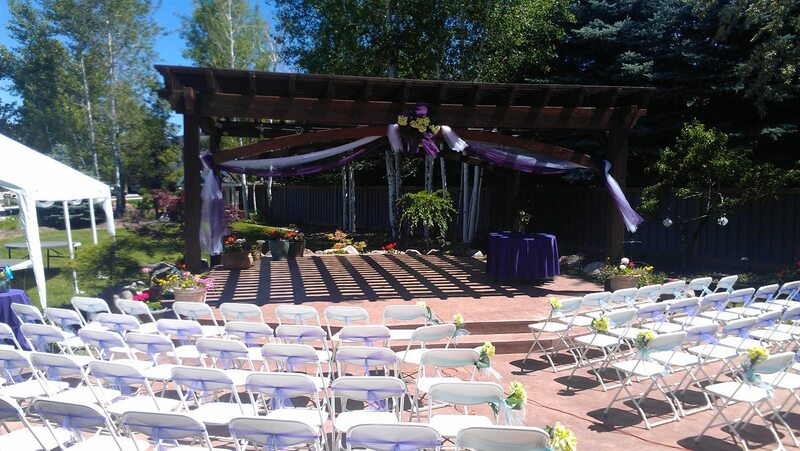 Todays featured DIY pergola kit was just shipped to Saint Joseph, Missouri and above is the picture they sent us back of the completed installation, all decorated and ready for their outdoor wedding ceremony. 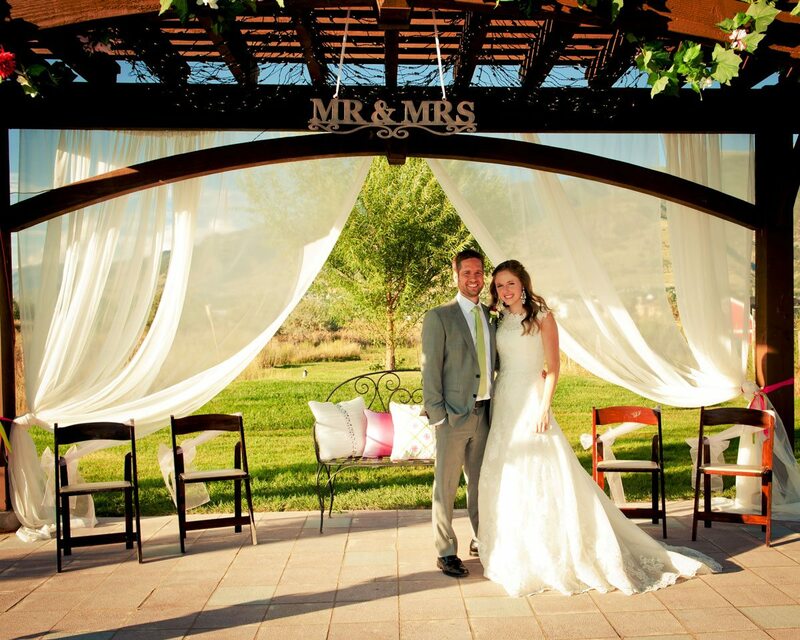 This featured pergola kit is custom stained to show off the natural beauty of the solid wood timbers. 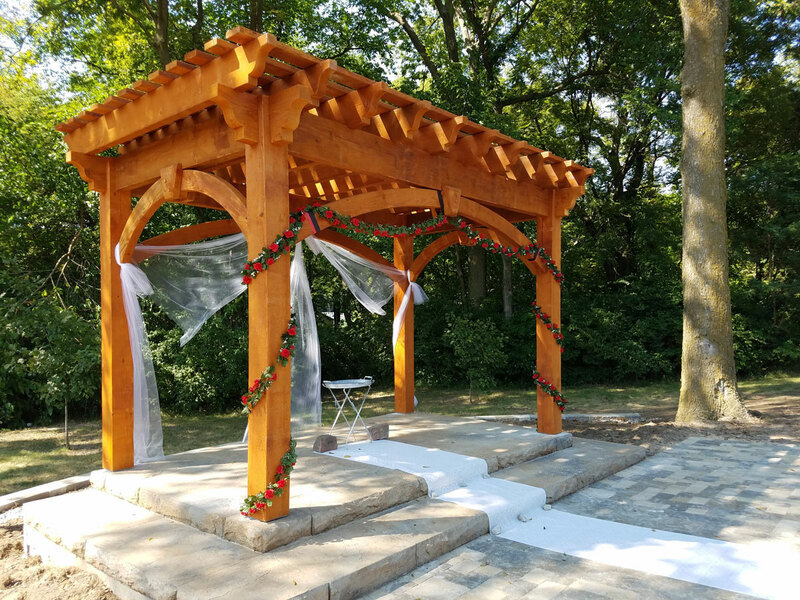 When people are looking for a natural wood finish for a Pergola, Pavilion Gazebo, Cabana or Arbor, they very often think of Cedar for its natural beauty. Although different in its appearance and characteristics, Douglas Fir is also a stunningly beautiful wood as you can see in todays featured ShadeScape™ 8000 Series DIY pergola kit. DIY 8000 Series ShadeScape™ Pergola Kit, ready to be packaged up before it was shipped out to Saint Joseph, Missouri for the wedding. Douglas Fir accepts protective stains well ensuring longevity of the finish. Douglas Fir has a tighter closer grain which makes it much less likely that the knots will ever loosen or to fall out as in other species. Recognized for its superior strength-to-weight ratio, Douglas Fir is dimensionally stable, superior over other species for its ability to perform against the natural forces of heavy mountainous snow, winds and earthquakes which is why it is an architectural engineer’s first choice for expansive ceiling beams, trusses, collar ties, wall-tie trusses, girders and more. I could go on and on about the remarkableness and amazing characteristics of the Douglas Fir and it truly is, but Douglas Fir is pleasingly handsome as well. As knotty as Cedar wood is, and I love Cedar, I personally, would still choose Douglas Fir for its beauty, strength, stability and proven durability! It is not just beautiful on the outside. Its inside characteristics surpasses any other species for sound responsible architecture. With the abundance and availability of Douglas Fir you get unrivaled quality at a lower price that looks great! This is a wonderful heirloom architectural masterpiece.